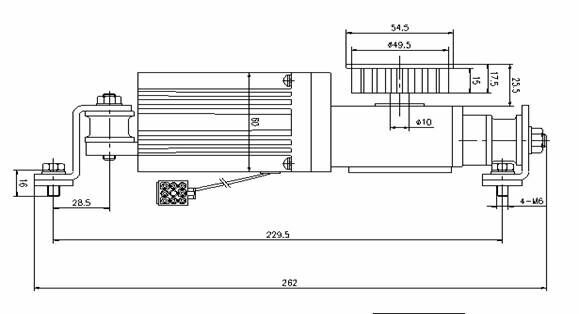 Brushless motor is drive device for automatic sliding doors, with silent operation, has big torque, long service life and high efficiency. It adopts European technology to integrate motor with gear box, which offers strong driving and reliable operation and increased power output, it can adapt to a large doors. Helical gear transmission in the gear box ensures the stable and reliable operation, even used for heavy door, the whole system operates easily. Which are widely used in Hotel, Hospital, Shopping Mall, Bank, Commercial office building, etc. 2. Small size and Reasonable Design, high-strength wear-resistant gears and high processing makes it more stable, quiet, longer life, higher efficiency, larger torque. Leading technologies, multi- functions, dependable performance while being cost efficient. 3. 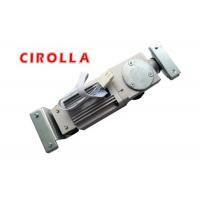 Convenience&Safety: Adjustable opening /closing speed , distance, Auto close delay time etc. During power failure, doors can be opened manually.Automatic stop when meet obstales during opening,automatic reverse when meet obstales during closing, Automatic lock if there is no triggering signal. 4. Easy Installation: Good modular design offers very easy installation. Only need to fit all components into the guide rail and connect each part well, it can work after activating the power supply. 5. Wide Application: used for Automatic Doors: including Sliding Door, Swing Door, Curved Door, Folding Door, Hermetical Door, Telescopic Door, Panic Door, Revolving Door, Hospital Door, be installed in the hotels, airports, office buildings, shopping malls, hospitals etc.